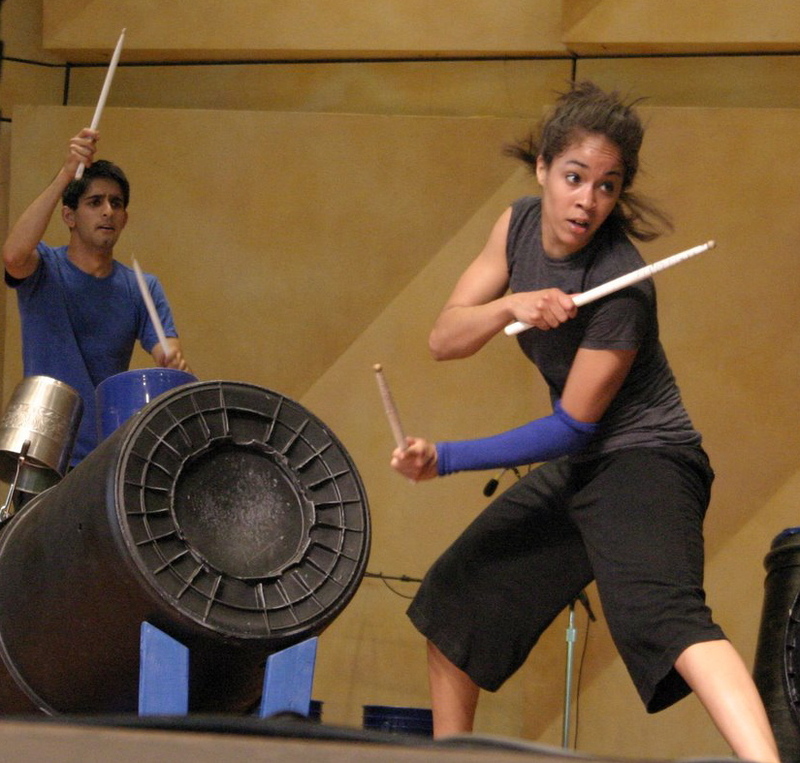 Ending their 20th anniversary season and ready to start off season 21 with a…um, bang (of sorts), Chicago Human Rhythm Project heads to the Harris Theater for the holiday weekend to tap, clap, stomp and give back. Global Rhythms 6 will showcase over ten percussive arts ensembles on Friday, November 26 through Sunday, November 28th. Along with the concert is a shared revenue program, in the spirit of the holiday, called Thanks 4 Giving. Partnering with 75 non-profits, Global Rhythms will give 50% of your ticket price to the charity of your choice (each one has its own code). “The number of charities has gone up over the years from about 12 to 75,” says CHRP Artistic Director Lane Alexander. “Each year the percentage of ticket sales with our partners goes up. That really helps, especially at the end of the year when everyone is scrambling to cover their budgets.” Thanks 4 Giving — on what is arguably one of the busiest theater weekend of the year — is a creative way for donors to offer additional support, and with ticket prices ranging from only $15 – $55, it is affordable and what Alexander likes to call “a people’s benefit”. Stephanie Paul performing with Be the Groove. Along with BTG, the shows feature BAM!, Diabolus in Musica, JUMP RHYTHM Jazz Project, Step Afrika!, Ensemble Español and their youth company, Tatsu Aoiki and The Miyumi Project, St. Alphonsus Academy & Center for the Arts, Fulcrum Point New Music Project and the South Shore Drill Team. Alexander says each performance is extravagantly different, so put away your turkey leftovers and head to the Harris for a weekend of rhythm, dance and fun. For ticket information: 312.334.7777, harristheaterchicago.org and visit chicagotap.org for full performance details and a list of participating charities.